At Nan Lee Jewelry we love personalization! That added touch makes a gift truly unique and heartfelt. We have a beautiful selection of name and monogram products like necklaces and pinky signet rings as well as complete custom pieces. 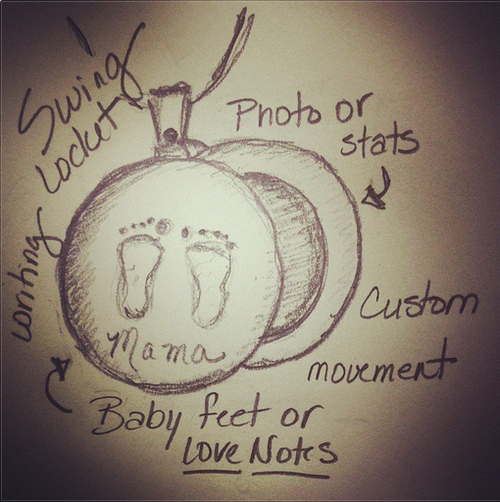 The collection by Deanna Cochran can incorporate your child's drawings, a handwritten message by you or even your baby's footprints. The possibilities are endless with personalization. If you're thinking about a gift for Valentine's Day, now is the time to order if you'd like a custom piece.